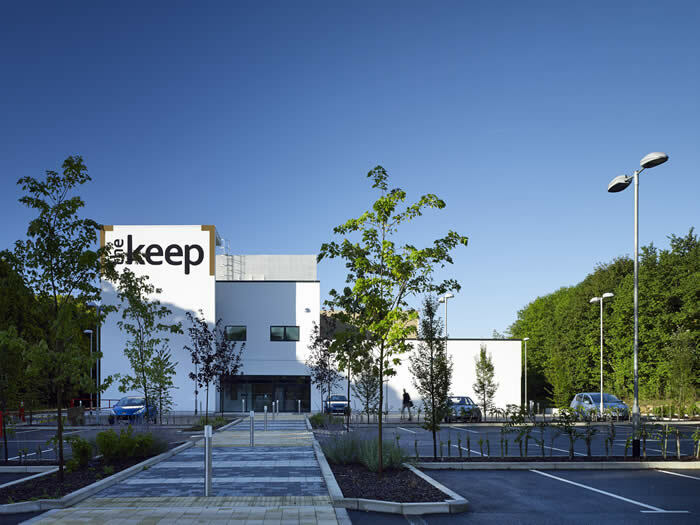 The Keep is a world class centre for archives giving access to all the collections of the East Sussex County Record Office, the Royal Pavilion & Museums local history archives and audio collection and the University of Sussex special collections. The combined collections provide a record of the region's history, dating back over 900 years. The Keep also houses the Sussex Family History Group library and the Historic Environment Record database, which records sites, finds and monuments from prehistory to modern times. In this room, which is available to everyone, you will find the reference library, including trade and street directories, microfilms and fiche and East Sussex baptism index cards. You can also use online reference material and view digital images of some of our popular resources. To access this room you must have a Reader's Card. In here you can consult original documents and maps ordered from the strong room. This room can be booked in advance by groups wishing to use documents from the Reading Room. There is free wi-fi available for use with your own laptop or tablet; all desks have power points for laptops. Desktop computers with internet access are also available in the Reference and Reading Rooms. You can consultour online catalogue plus other useful websites such as Ancestry, Find My Past and The British Library Newspaper Archive. Visit The Keep website. Here you can consult the new electronic archive catalogue which provides access to the wealth of material in the collections. If you are a first time visitor we stongly recommend that you register online for a Reader's Card prior to your visit. You will need identification (e.g. passport, driving licence, utility bill or bank statement) to collect your Reader's Card. If you are ordering items to be consulted in the Reading Room, you will need to book a place - you can do this online or by telephone or email.